Ann is a graduate of the New York Institute of Photography for both film and digial media. She is a a Master level photographer at the Toronto Camera Club and a Certified Judge for the Canadian Association of Photographic Art and the Ontario Council of Camera Clubs. 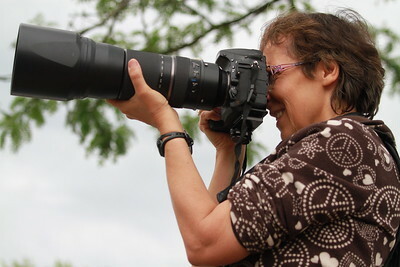 She has completed the Individualized Photography Course and the Image Analysis Course Certificate with the Photographic Society of America, has won several photographic awards and has her photos published in magazines such as Canadian Camera Magazine, Pro Digital Imaging, Digital Camera World, Photo Life The Outpost Travel Magazine and Digital Photographer. Ann is currently the Chair of Audio Visual Presentations for both the Toronto Camera Club, the Canadian Association for Photographic Art and the Photographic Society of America. She is currently an active participant in photography competitions, public presentations and the judging of Photography and Audio Visual Presentation Competitions Nationally and Internationally. "Photography has been my passion for a very long time. My favourite subjects to photograph are Sports and Nature. Capturing the natural beauty of the world and the graceful movement of the body through sport is a most rewarding challenge."